I first arrived in Huntsville for a conference in 2017 with no preconceived notions of what to expect. 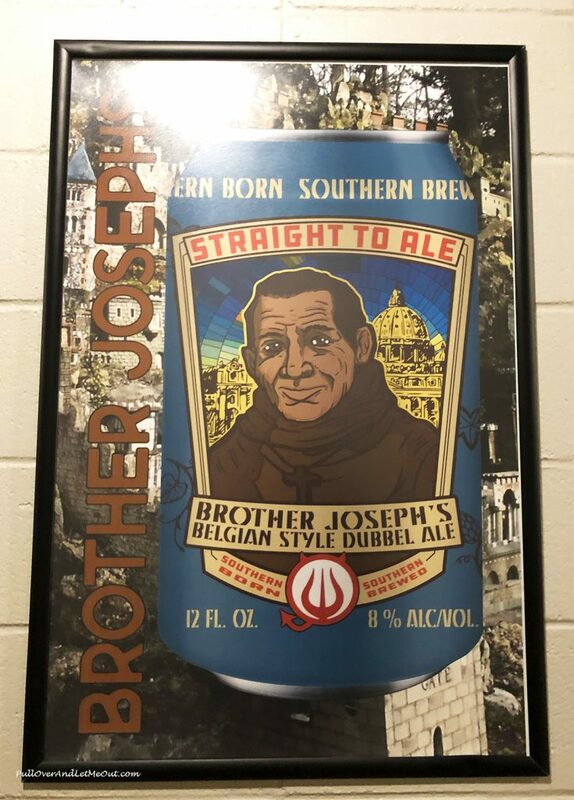 However, as I spent a little time getting to know more about this attractive city in the Appalachian region of northern Alabama, it became obvious I’d need to return. And so, I did return to spend a fun-filled forty-eight hours in the Rocket City. 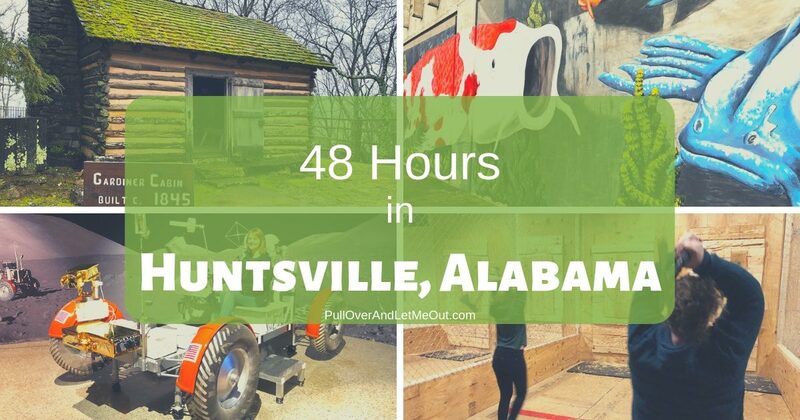 Here’s a round-up of my itinerary and how we spent 48-hours in Huntsville, Alabama. I travel to Huntsville with fellow blogger, Vicky from Buddy the Traveling Monkey. She and I met at that conference in Huntsville so it’s only fitting we return together to further explore. Vicky’s just finished house sitting in Atlanta so I fly into Hartsfield-Jackson where she meets me and we commence our three-hour road trip to Huntsville. 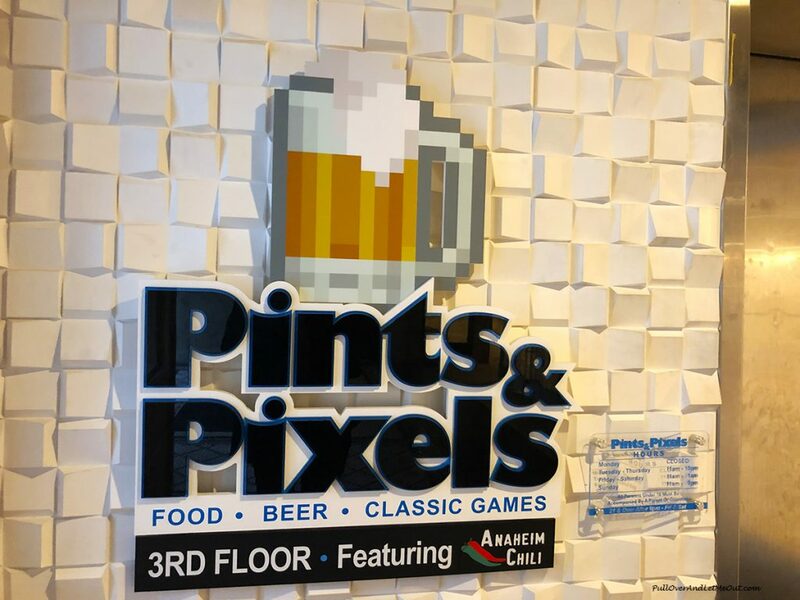 Pints and Pixels in Huntsville, Alabama. 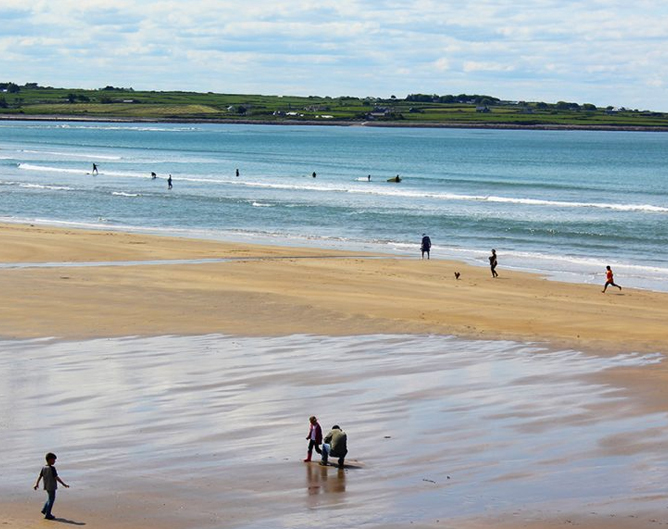 Arriving at midday is the perfect way to end our road trip and begin our stay. First up, lunch at Pints & Pixels. 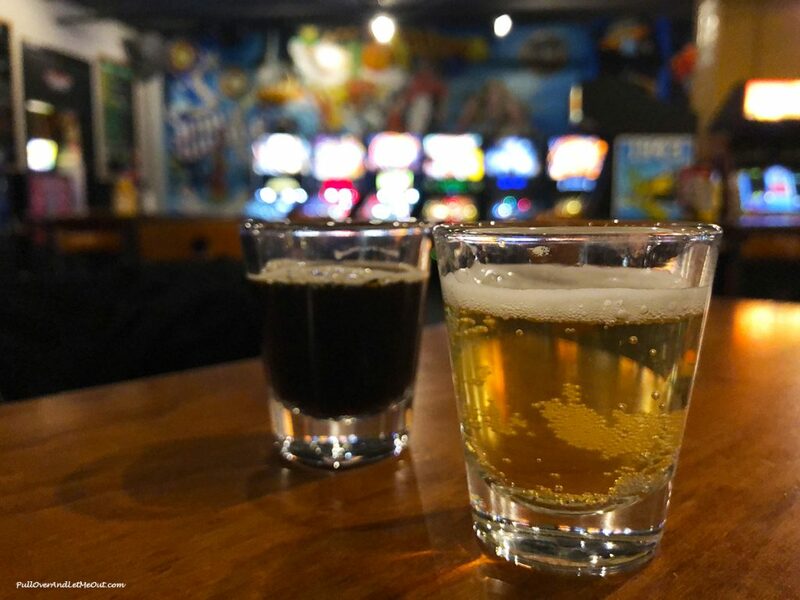 Pints & Pixels is a pub, restaurant, and arcade all wrapped into one fun experience. 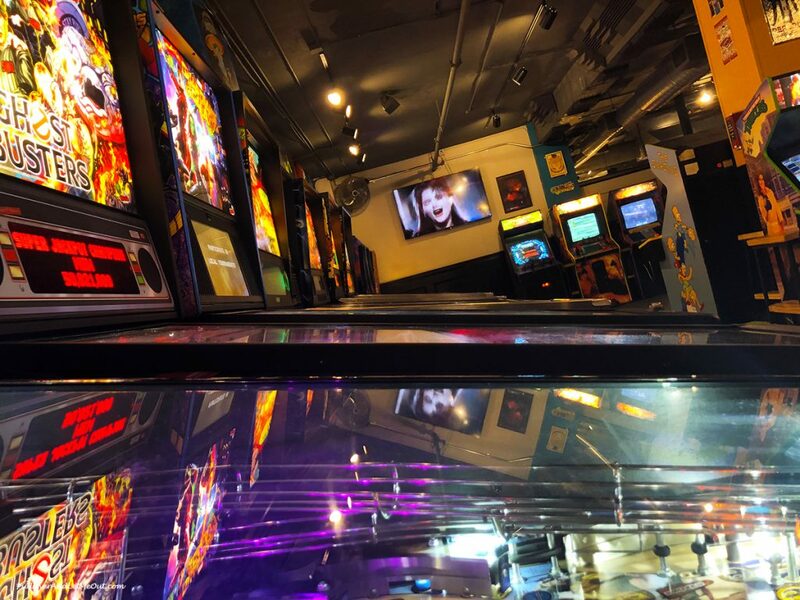 We take the elevator to the third floor, step off and walk into a vintage arcade complete with pinball machines, classic arcade games, and 80s MTV-style videos playing. For a moment we just stand in the doorway taking it all in. We’re hungry so we start out with lunch. Pints and Pixels is renowned for its Anaheim Chili. We place our orders and in no time we’re munching on chili dogs covered with spicy chili, melted cheese, and surrounded by a generous portion of French fries – it’s delectable. Not just famous for its chili, Pints & Pixels is a bar so I sample a couple of the local brews on tap. A Kolsch named Mark Twain Clemens and a Vanilla Porter called Mad Malts are yummy samplings that pique my interest. Alas, it’s only lunchtime and we’ve got a full schedule so I don’t indulge in a pint but take note for future reference. Post lunch, you guessed it. It’s time to play! We both try our hand at games that take us back in time. Ms. Pacman and Space Invaders remind me of the good old days when I was sporting a curly perm and hanging out at the arcade. The music playing in the background completes my flashback to youth. 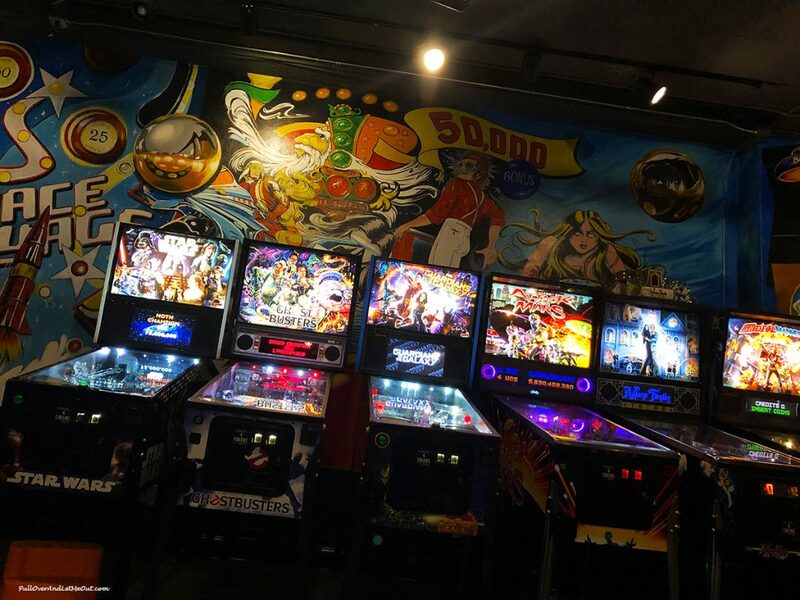 Pull Over Pro Tip: Tokens are earned with every purchase and on Wednesday from 6-10, free pinball! The arts are alive and thriving in Huntsville and that includes outdoors. 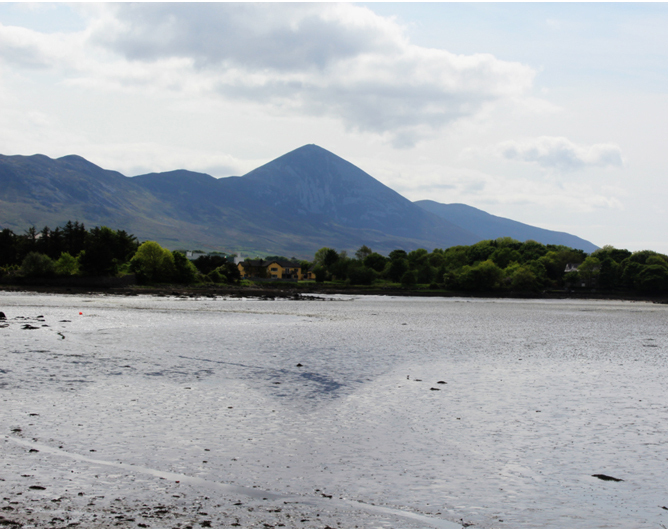 We download the app from iTunes for SPACES Sculpture Trail which is a collection of the work of 22 artists from across the country featuring 39 sculptures. It’s raining and we’re having challenges finding the art as described on the app. We later learn they’re in the process of changing out the artworks and putting in new sculptures. Nonetheless, we do discover multiple colorful and unique sculptures in our travels as well as some incredible street art. 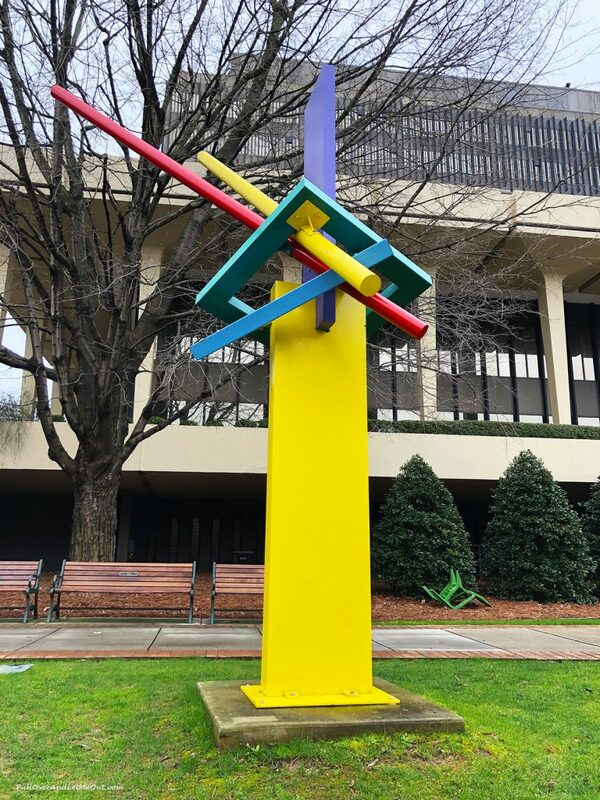 Art abounds in Huntsville with ever-changing displays and of course the Huntsville Museum of Art. In fact, the arts play a prominent role in the city’s character and allure. Arts Huntsville's vision is to be "the premier mid-sized city for the arts, entertainment, and culture in the Southeastern United States." Harrison Brothers Hardware Store is an iconic landmark in downtown Huntsville. Next, we take time for a little shopping downtown at Harrison Brothers Hardware. Harrison Brothers Hardware is an iconic landmark and a must-see while in Huntsville. 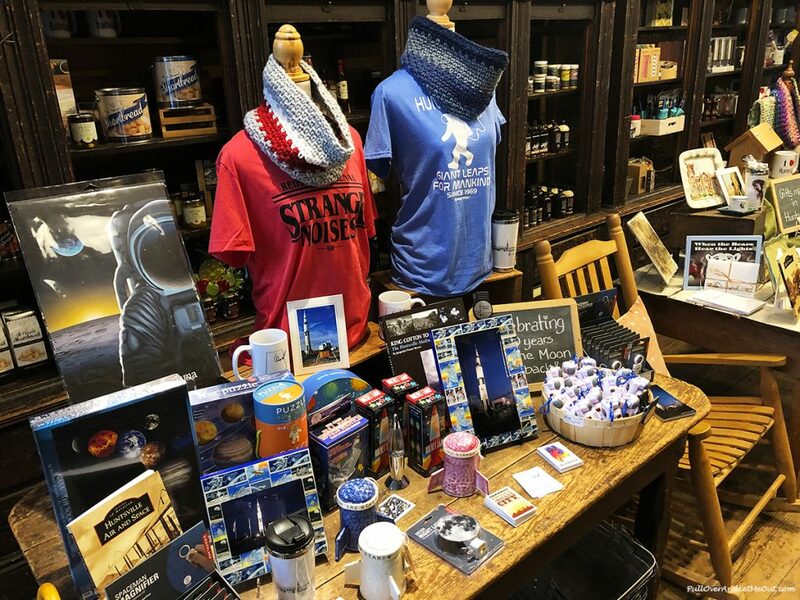 The historic shop is filled with local goods, souvenirs, handcrafted items, a variety of t-shirts, and one of a kind finds. The building itself maintains its character harkening back to days gone by. There’s even an old-style till which is a customer favorite when ringing up purchases. Harrison Brothers features an array of locally made items and Huntsville souvenirs. 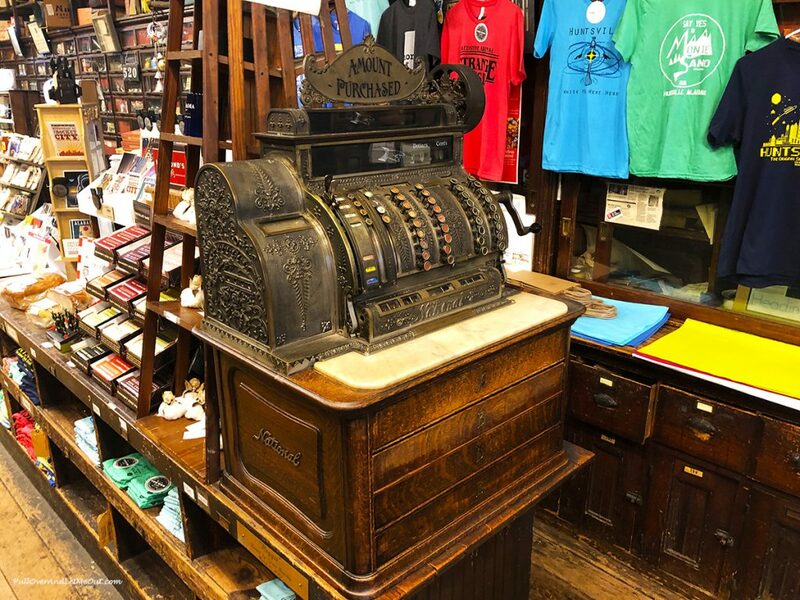 The antique cash register is a classic. Huntsville offers a variety of lodging options from Airbnb, cozy inns, and hotels. 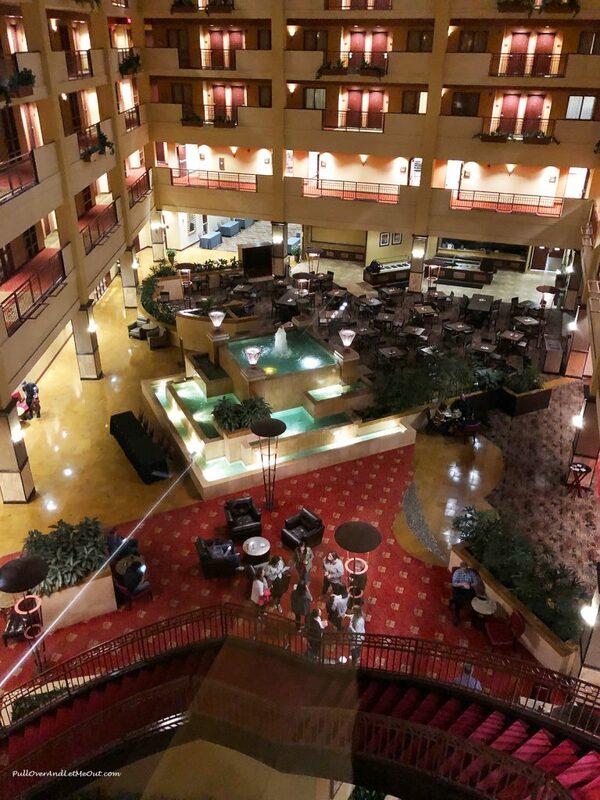 For our stay, we’re making the Embassy Suites our hub. 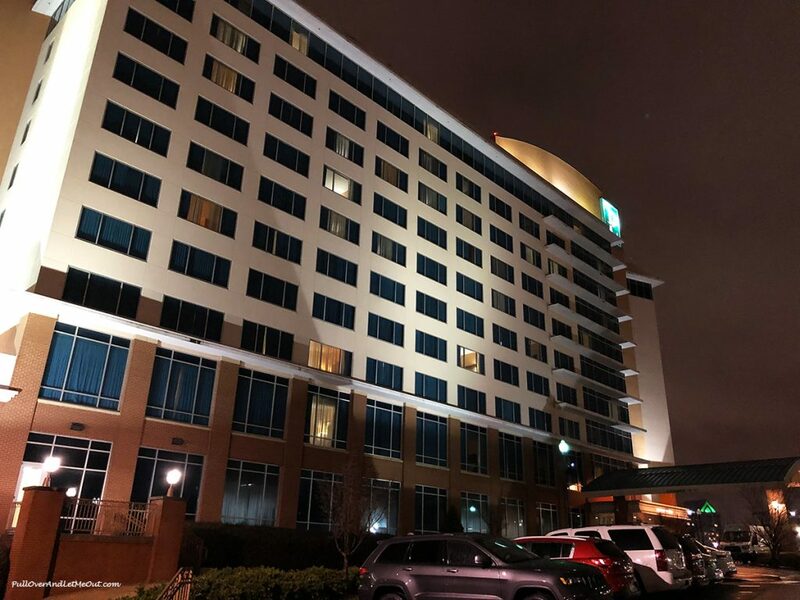 Located in the heart of downtown, it’s an easy walk to multiple Huntsville attractions and a comfortable stay. Added to its appeal are the complimentary breakfast and happy hour. We take a little time to relax and freshen up before dinner. Moving on, it’s time for dinner at Campus No. 805. 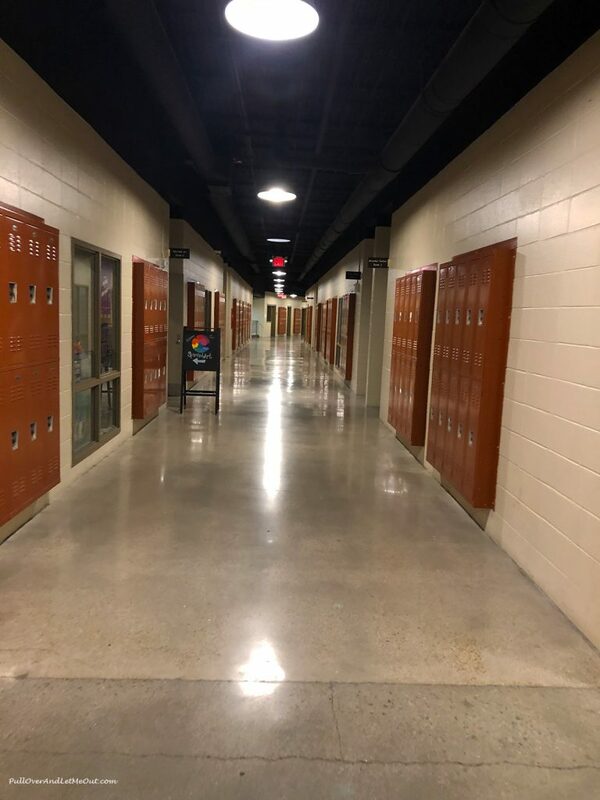 The name is a tribute to the many Huntsville residents who either attended or had a role in the school’s story – the school located in zip code area 35805. The campus houses many restaurants, breweries, bistros, and entertainment options. Tonight, we’re meeting our friends from Huntsville/Madison County Convention & Visitors Bureau at Ale’s Kitchen. I concur. The Naughty Cuban (sandwich) I had was amazing. 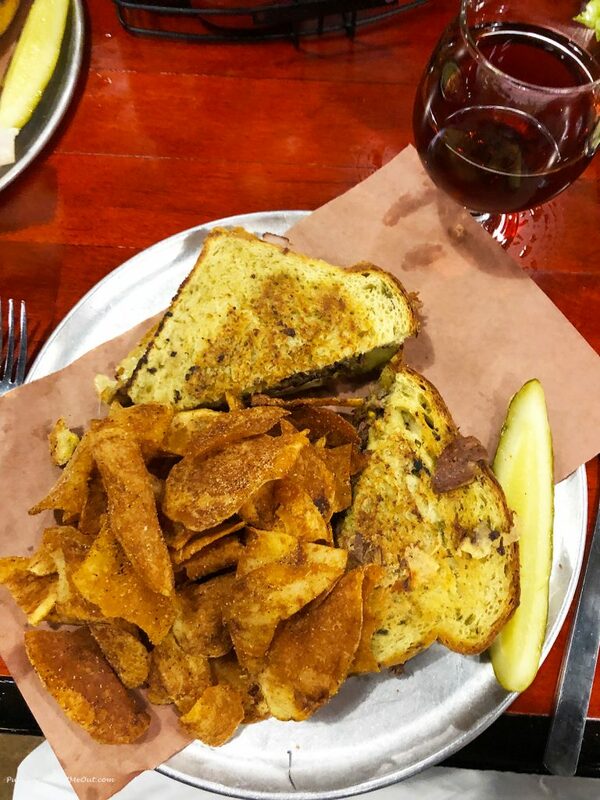 House-smoked pulled pork, pit ham, Swiss cheese, premium kosher pickle, and house-made Monkeynaut mustard on Jalapeno-Cheddar FredBread. Wow! 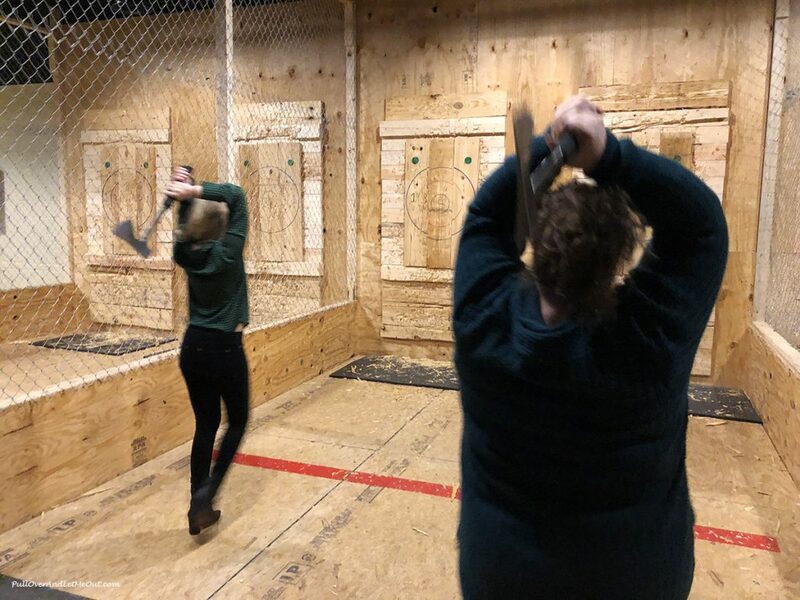 Après dinner, a little axe throwing. Yes, axe throwing is exactly what it says it is. Civil Axe located inside Campus No. 805 is a short stroll down the hallway from Ale’s Kitchen. The smell of plywood and the cacophony of metal thudding into wood welcomes us we enter. Before lifting an axe, we sign a waiver and listen carefully to instructions which are kind of important. Then we commence aiming for the target and hoping for the best. Utilizing the proper technique we’ve learned and after several attempts, we’re hitting the wood and even striking the target’s bullseye. Huzzah! After stepping outside my comfort zone, tossing many axes, and lots of laughs, I depart with a newfound sense of accomplishment and an unusual skill I’d never considered acquiring. Our hosts from Huntsville/Madison County Convention and Visitors Bureau showing us how it's done! Axe or Ax? Outside of the United States, you are most likely to encounter the longer spelling—axe. But you will see axe in American English fairly frequently. 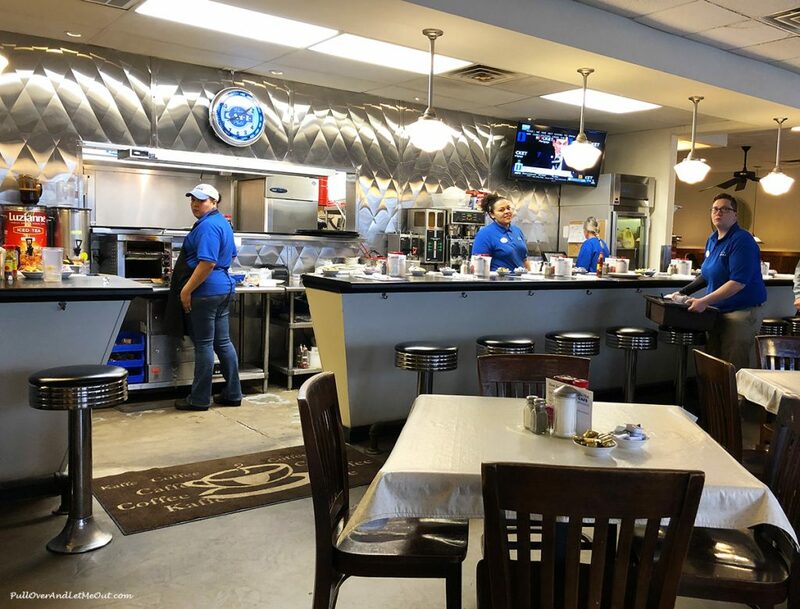 Breakfast is a comfort meal and at the Blue-Plate Café, the old-style diner atmosphere along with the traditional southern fare make this the perfect beginning of the day. The restaurant is abuzz with folks dining on bacon and eggs, hash browns, pancakes, and sausage. At Blue Plate, morning is all about the traditional fixings for a good southern breakfast. This is no doubt a local favorite as it’s filled with people sipping coffee and chatting. I can’t help wondering if the table of senior citizens dining next to us is a group of retired rocket scientists. This is a high-tech city after all, and we could be surrounded by genius!. Blue-Plate Café is a classic diner popular with visitors and locals. Okay, maybe we should have started here, but regardless of how long you plan to be in Huntsville, a stop at the Downtown Visitors Center is worthwhile. It’s here you’ll get information and ideas as well as a brief overview. 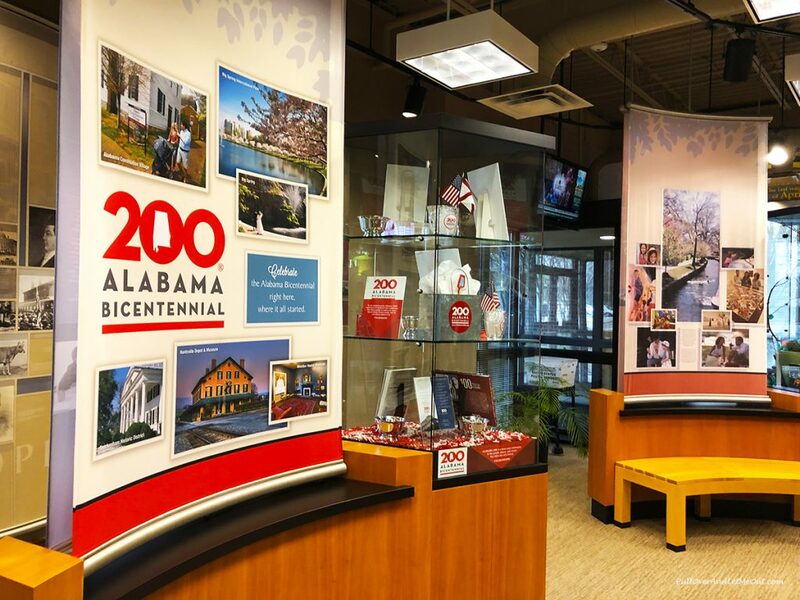 There are several exhibits including one dedicated to the Alabama Bicentennial, happening in 2019! 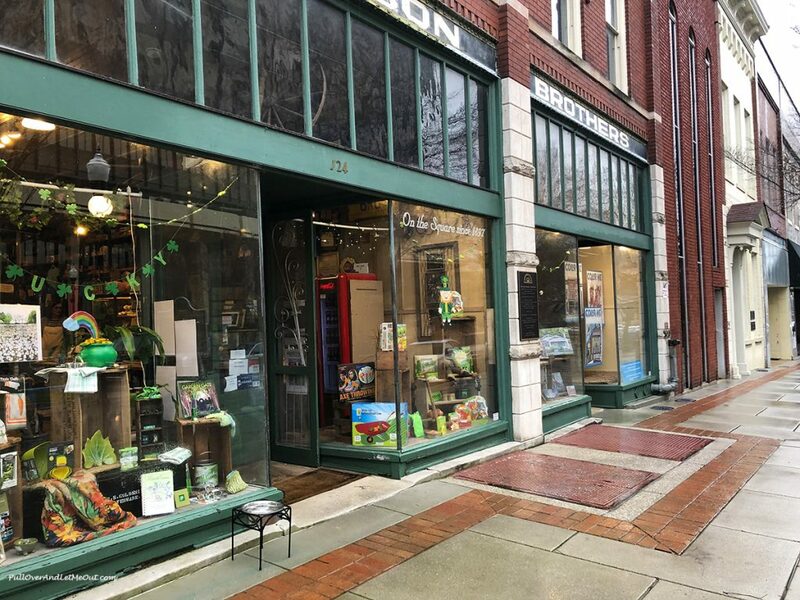 Be sure to check out their gift shop and pick up maps and discount coupons while you’re deciding which Rocket City attractions you want to visit. 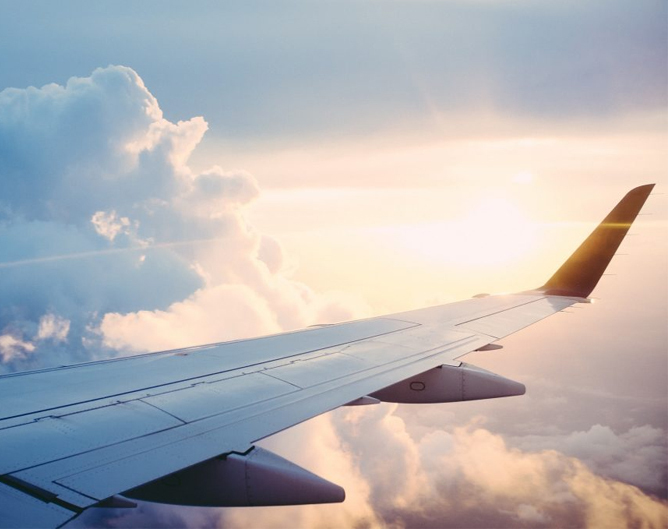 Pull Over Pro Tip – There’s also a staffed Visitors Center at the Huntsville International Airport near the baggage claim area. Perched overlooking Huntsville on Round Top Mountain is Burritt on the Mountain. It’s one of those places where it’s possible to engage in a variety of activities and still not accomplish it all. First, there’s the mansion. 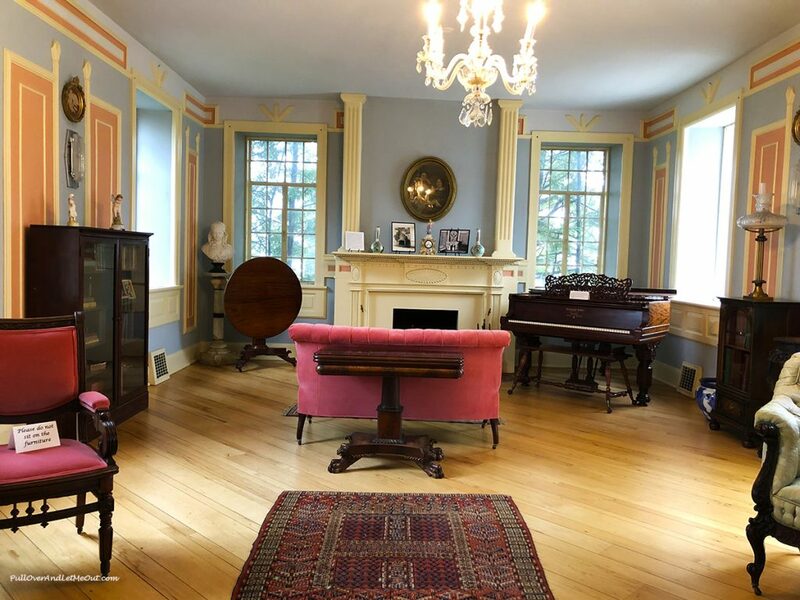 Built by a homeopathic physician, Dr. William Burritt the grand home constructed in the 1930s has a storied past and is open for tours. 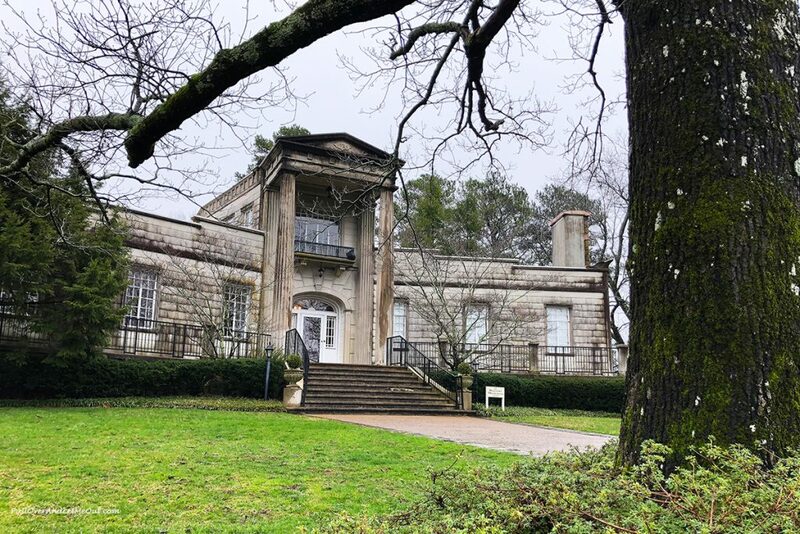 Having no heirs, Dr. Burritt left the mansion and surrounding property to the city making it the first museum in Huntsville. 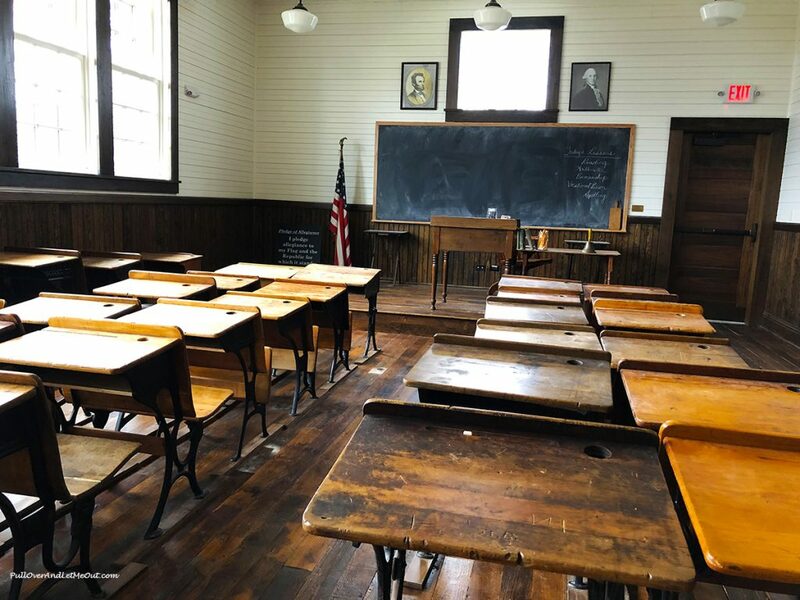 Today, the museum includes the historic park and barnyard providing a look into Alabama life in the 19th century, the Dorothy Davidson Rosenwald School detailing the partnership between Sears president Julius Rosenwald and Booker T. Washington to build schools for African American students in the rural south, nature trails, and a gift shop. 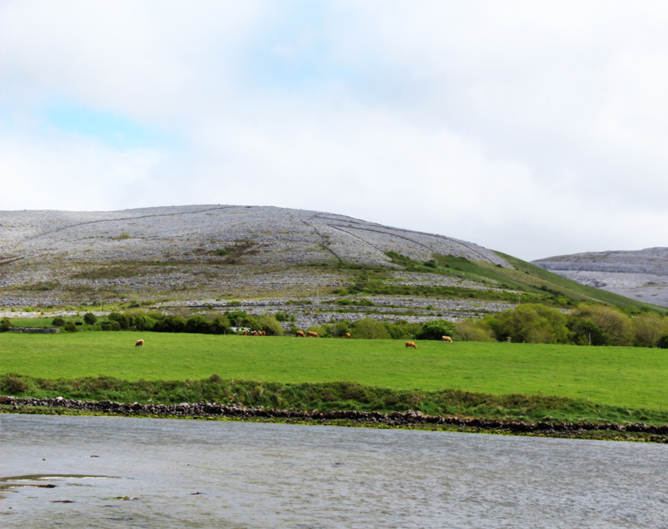 There’s also multiple events and an event venue making this attraction one worth allotting plenty of time for exploring, learning, and enjoying. 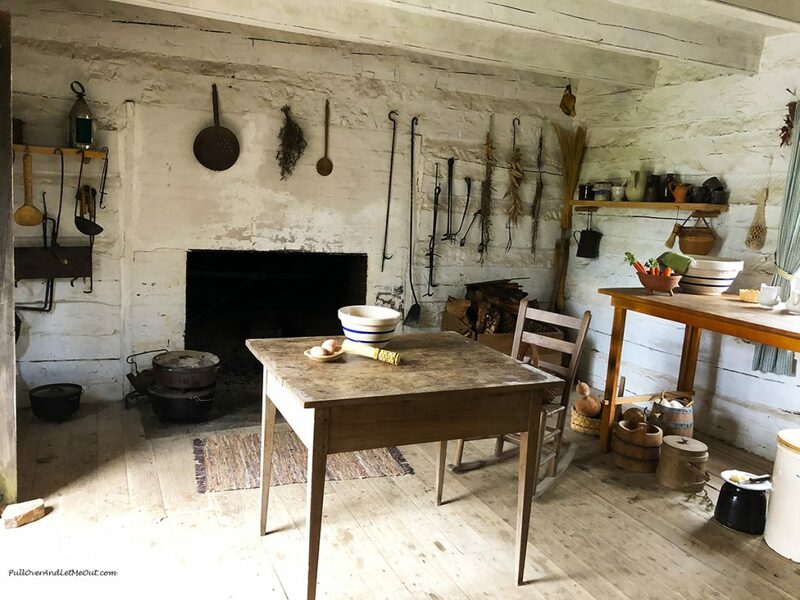 Inside a cabin in the historic park. 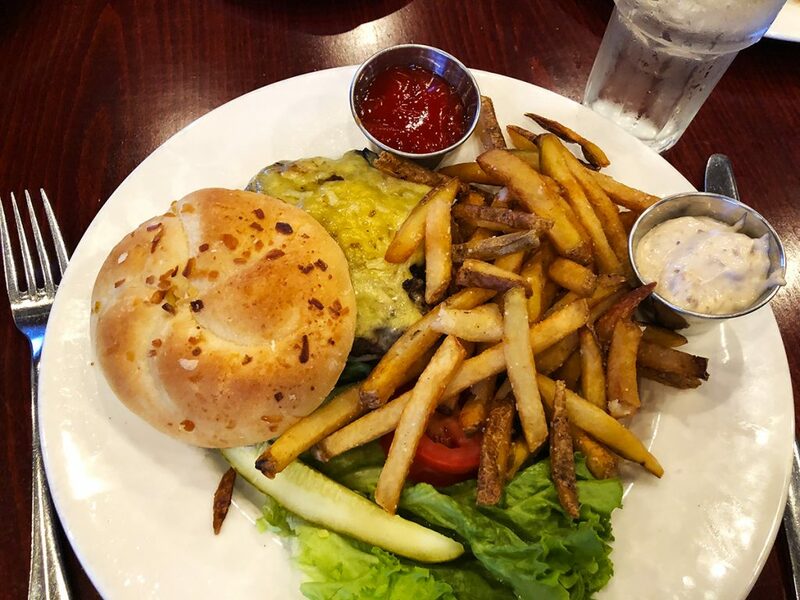 In two words – Best Burger. I’m still thinking of the tender house-ground beef, delicious balsamic aioli, and fresh cut fries. 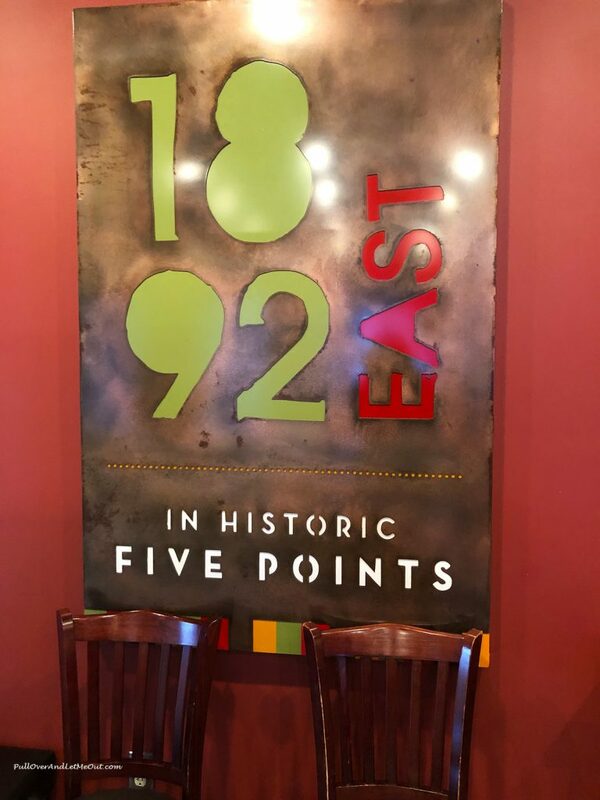 1892 East is in Huntsville’s historic Five Points district and provides outstanding local, organic and vegetarian foods. Featuring American cuisine and a seasonally changing menu, the food’s distinctive and made from the freshest ingredients. I can count on one hand the number of burgers I’d call memorable. 1892 East is one of those burgers. Be prepared to be blown away. 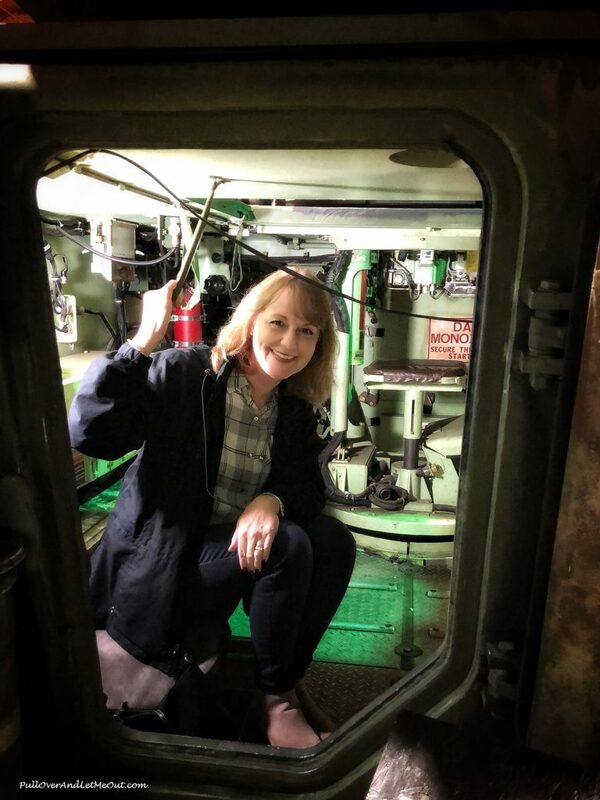 The sheer size and amount of incredible military memorabilia, artifacts, and vehicles at the U.S. Veterans Memorial Museum is astonishing. We’re met by our point of contact, Cory Kellar, who proceeds to take us along a military timeline like no other. 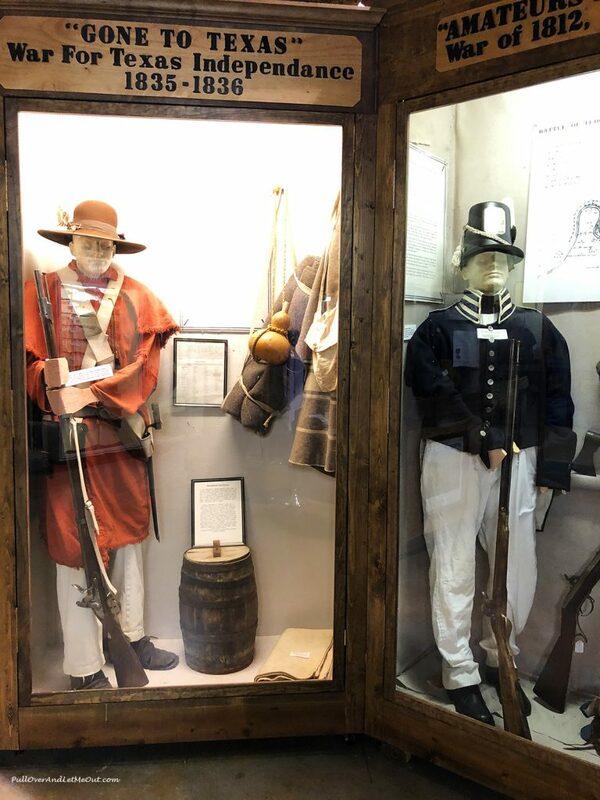 Spanning from the Revolutionary War to today, the collection of military artifacts is enormous and includes several rare and important historic pieces. This is a Pull Over and Let Me Out favorite find. I could have spent all day examing every inch of this amazing tribute to the military. The museum is operated by the Alabama Center for Military History, Inc. which is a non-profit, tax-exempt (501c3) educational institution. There are no paid employees, the museum relies solely on volunteers to staff and maintain the museum. The U.S. Veterans Memorial Museum is open Wednesday through Saturday 10 am to 4 pm. There’s no admission but donations are encouraged, and they welcome tax-exempt donations on their website. 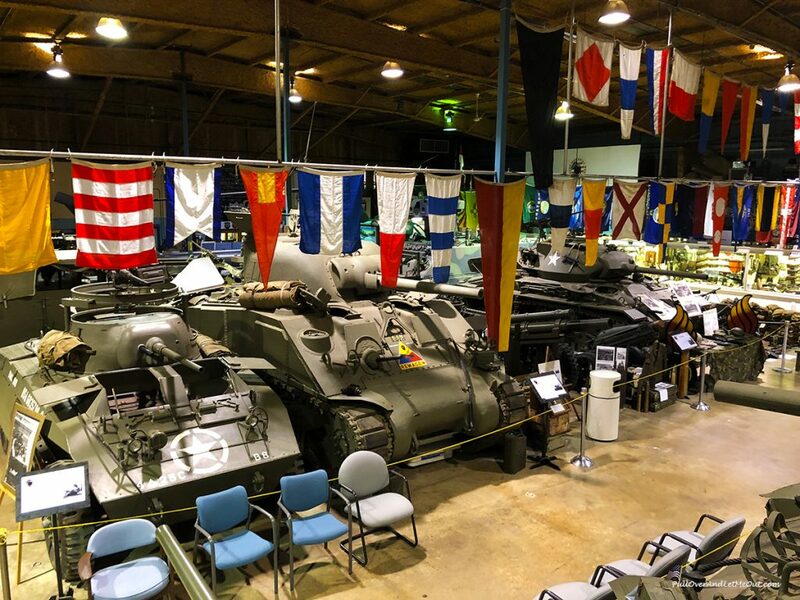 The museum houses an expansive collection of military vehicles and artifacts. After a short rest in the hotel, we’re ready for an evening of paranormal mystery and train travel. Located in the popular A.M. Booth’s Lumberyard is the Blue Bayou. 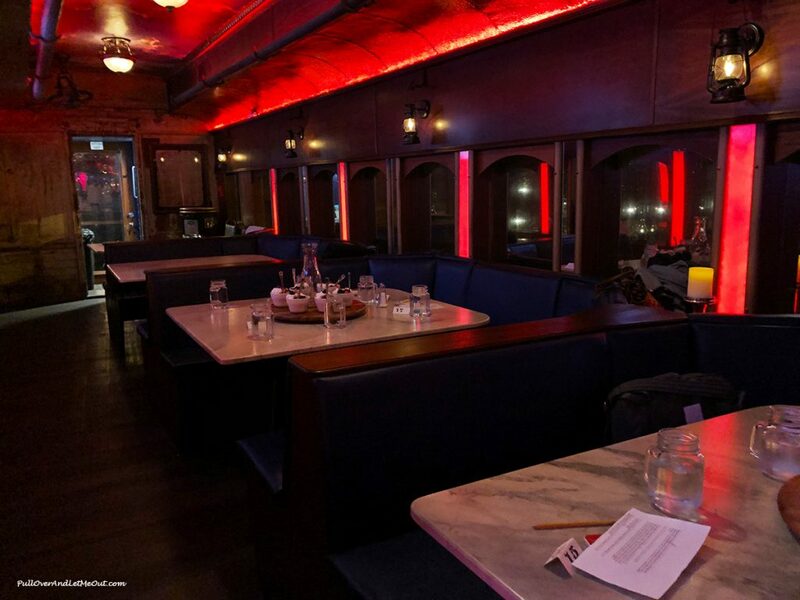 The re-purposed railroad dining car travels the south while providing diners with a fun, tasty, and unusual dining experience. Tonight, we’re part of a crew on a test run of a new storyline, a paranormal whodunit. Together with our fellow diners, we collect clues between courses to solve a mystery. A ghostly mystery. The train car provides a great dining atmosphere. We travel back in time to the glory days of rail travel. It’s a bit like the Agatha Christie classic, Murder on the Orient Express, except the food is much better and there’s a lot more laughter! A full-flavored Cuban at Honest Coffee in Huntsville. This morning we start with a slightly lighter meal and java. 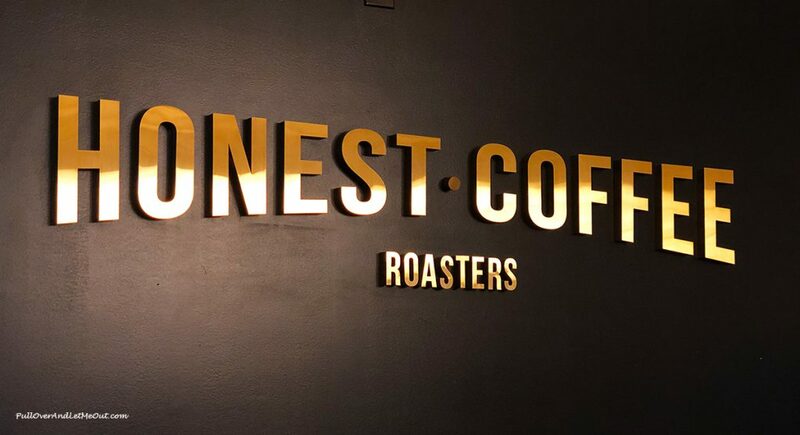 Hip and upscale is how I’d describe Honest Coffee Roasters in downtown Huntsville. This is the quintessential thriving coffee shop/gathering place. The place is bustling. A quickly moving line, friendly baristas, and tables filled with happy clients complete the coffee shop vibe this morning. 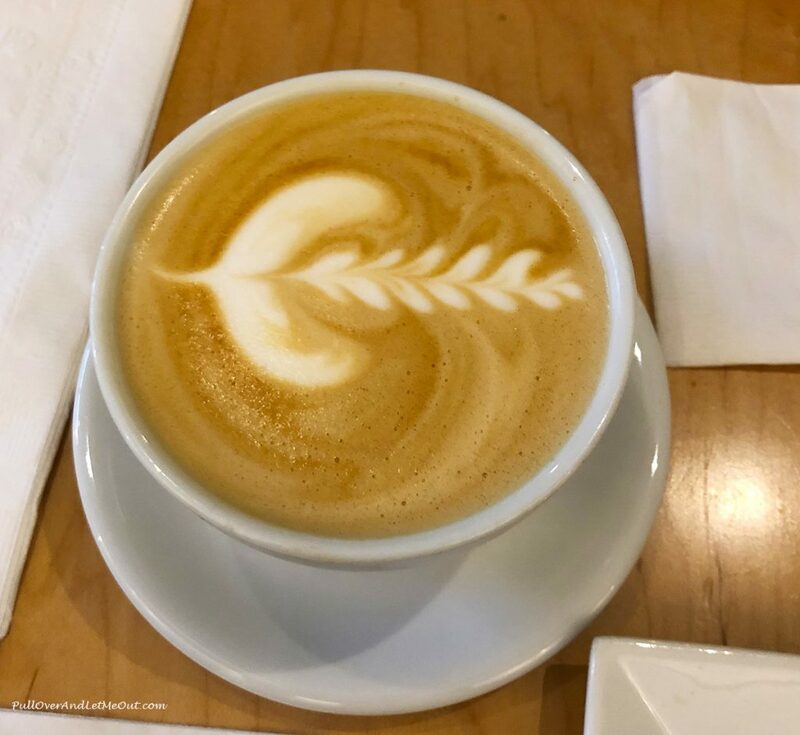 We take time to sip our coffees and enjoy a fresh muffin before continuing on our itinerary. It’s called the Rocket City for a reason. Huntsville is home to the U.S. Space & Rocket Center and Space Camp. It’s also where much of the research and development of the U.S. space program took place. 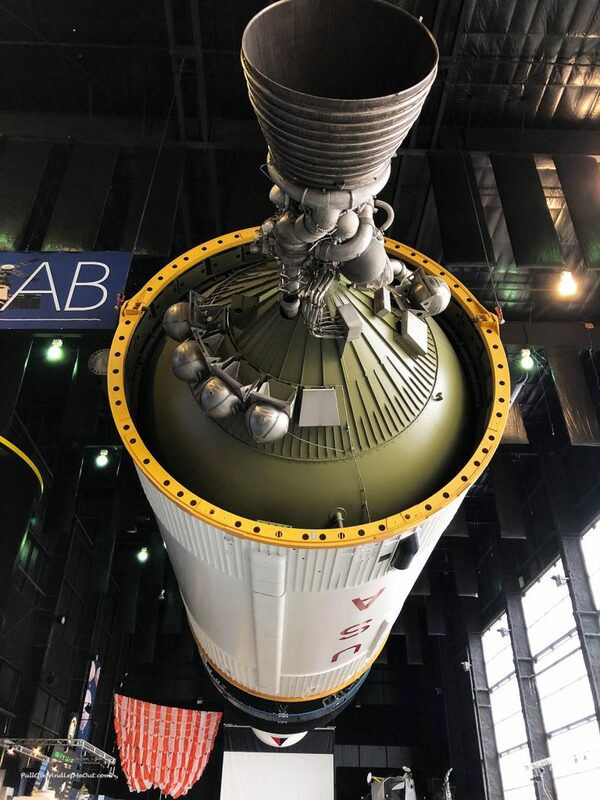 Although we’d visited The Space & Rocket Center in 2017, with over 1500 rocketry and space relics, there’s still more to see. What’s more, 2019 is the 50th anniversary of the Moon Mission and to commemorate, the U.S. Space & Rocket Center has a special exhibition, “Apollo When We Went to The Moon.” This is an incredible tribute and fascinating timeline of the leadup to and including the Apollo 11 moon landing. We spend several hours exploring the center and the time spent at the 50th-anniversary exhibition is still etched in my mind. They’ve done a great job capturing the events and retelling the story. We start with lunch and we’re finishing our visit to Huntsville with lunch. Today, we’re dining at Cotton Row. 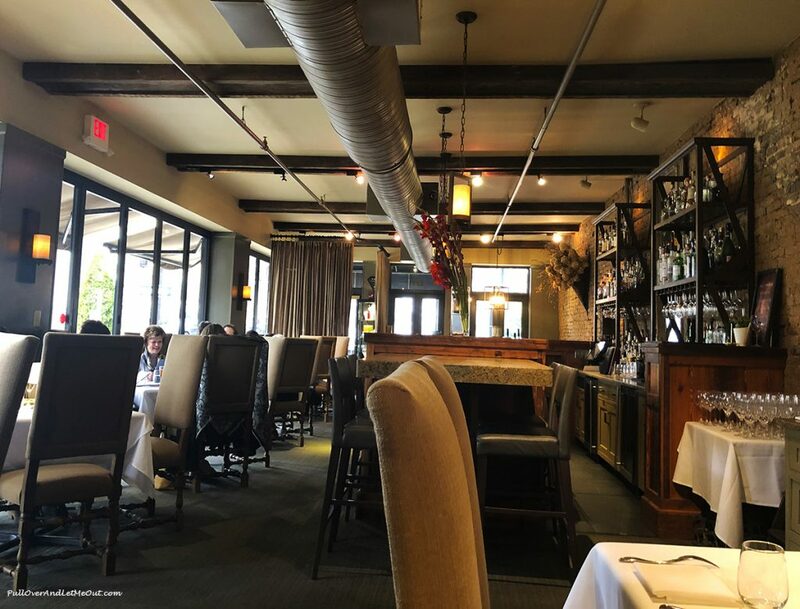 Located at 100 Southside Square in downtown, the restaurant occupies a three-story brick building which was built in 1821 along the cotton exchange. The restaurant features modern American cuisine and pays homage to its past with decorations inspired by the cotton traders who once worked in the city. I enjoy a delicious cup of seafood chowder and pan seared salmon. This strikes me as not only a great place for lunch but an awesome date or celebration destination too. Our meal is an exceptional final taste of the culinary scene before departing the Rocket City. 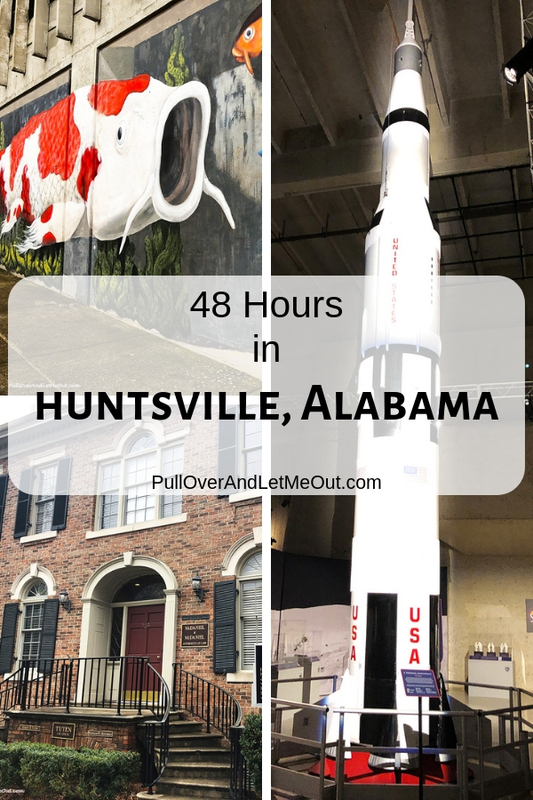 Although we managed to accomplish a great deal in our 48-hours in Huntsville, there’s still more to do and see. I think that’s part of the charm of Huntsville and perhaps why the city draws me back. Sure, but something tells me I’ll return. 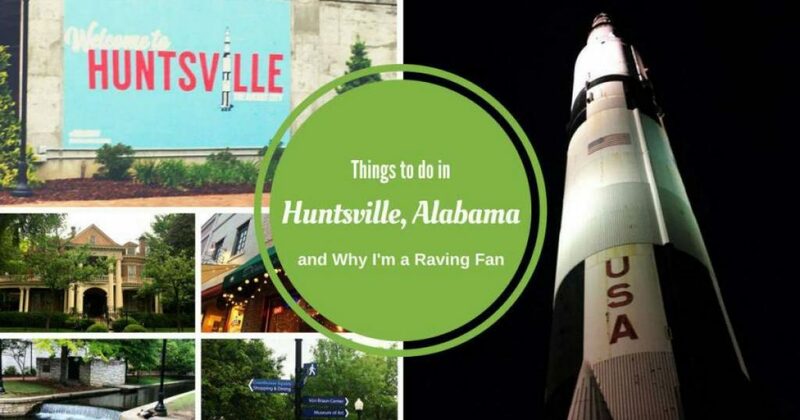 Have you visited Huntsville? Tell me, is there a favorite restaurant or attraction you found? lunch Pints & Pixels – 115 Clinton Ave.
dinner Ale’s Kitchen Campus No. 805 2610 Clinton Ave. W.
Axe throwing is a blast and yes, there is so much more to Huntsville than I ever realized. It’s a great town!